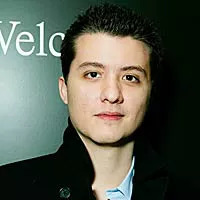 Ryan Buell, the 30-year-old star of 'Paranormal State' on A&E, has been diagnosed with pancreatic cancer, People.com recently reported. Both Patrick Swayze and Steve Jobs had this type of cancer, but it's a rare diagnosis. Only 42,470 new cases of pancreatic cancer were diagnosed in the U.S. in 2009, according to the National Cancer Institute. The cause of cancer is often unknown, but there are lifestyle changes that might lower your risk for this type. Heavy drinkers have a higher risk of developing the disease, according to a study from the Sylvester Comprehensive Cancer Center at the University of Miami’s Miller School of Medicine. Among people who never smoke (a known risk factor for pancreatic cancer) the data show a 36% higher risk of pancreatic cancer mortality among those who consume three or more servings of liquor a day, as compared to nondrinkers. Incorporating vitamins C, E, and selenium into your diet may lower the risk of developing pancreatic cancer, research suggests. Scientists believe those antioxidants may counteract free radicals, dangerous byproducts of metabolism. Of course, in moderation. Studies suggest that higher levels of ultraviolet radiation are associated with a lower risk of pancreatic cancer. A study out of the Queensland Institute of Medical Research in Queensland, Australia, found that people born in areas with the highest ultraviolet radiation had a 24% lower chance of getting pancreatic cancer than those born in areas with low UV radiation. Soft drink consumption (two or more drinks per week) was associated with a higher risk of pancreatic cancer in a 2010 study published in the journal Cancer Epidemiology, Biomarkers & Prevention. And while the link is unproven (it could also be some other factor associated with drinking soda), the increased risk may be due to the effects of the hormone insulin.